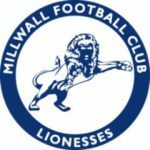 We’re checking in with clubs in the new-look FA Women’s Championship (formerly WSL2) and it’s now over to Millwall Lionesses. The club has gone through plenty of change in recent months, on both the playing side and behind the scenes, but one familiar face who remains is Leanne Cowan. 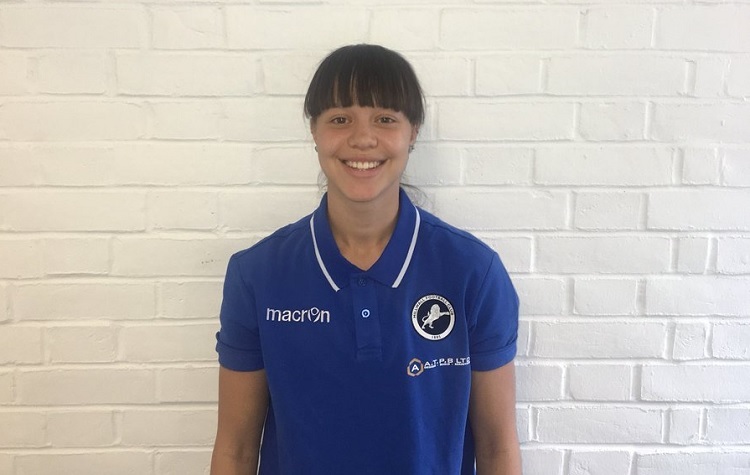 The 22-year-old defender is also a bartender when she’s not on footballing duties, and after 14 years at the club, we figured she was pretty well placed to tell us about the Lionesses, as another season nears! SK: How did the close-season break go for you – what did you get up to/how did you relax/unwind/stay in shape? LC: The close-season for me went really quickly. I didn’t really get up to much apart from preparing for the season, watching the World Cup and working. I was working with Glen Reed up at Velocity Training Club in Birmingham once a week and spending a lot of time in the gym to stay in shape. I worked with Glen last summer and he helped me get into great shape. I started the season with two goals in three games from wing-back, so I went back to work with him hoping to be sharp for pre season. SK: How were you feeling on the first day back? LC: The first day back was a bit of a mixed bag. There’s been a lot of changes after last season and I showed up to training not actually knowing what to expect. At this stage, we had no manager or assistant manager and I didn’t even know if there’d be enough players to do a session. I was also excited, though I find the off-season frustrating as I just want to play all the time, so I was happy to be back. SK: What did the players do on the first day back? LC: On the first day back, we had a small meeting and briefing about the session. At the time, we didn’t have a manager in yet, so it was an update on that situation and a welcome for the new faces around. When that was over, we went out and trained. Dan Logue (who has now left the club) and Ali, our S&C coach, took the session; it was a bit of fitness and some possession games. SK: How many new faces are there in the squad and how do you make them feel welcome? (Any initiations to look forward to or things they have to do)? LC: We have a lot of new faces this year; you should check our Twitter as some of them have been announced, but I think there’s a couple more still to come! In terms of management, Chris Phillips has taken over as first-team coach, with Pedro (Martínez Losa) coming in as the director of football at the club. Initiations take place on away days usually, so the first long away trip we used to have a tradition that new players or staff would have to sing a song of their choice. It’s usually a good laugh, and we have a bit of fun with it. SK: Who’s been first in the running/fitness sessions? LC: Probably me; I’m only 22 but I’m now one of the senior members of the squad, so I’ve been trying to lead by example in training. The extra work I did in summer really helps me push myself when Ali is working us hard. SK: What has been the best thing about being back (and what has been the worst!)? LC: The best thing about being back is training consistently and just playing football 4/5 times a week again. The off-season always drags so it’s nice to be back in with the group. We’ve got loads of new players so it’s nice getting to know everyone and seeing them coming out of their shells with every session that passes. I’m excited to watch them grow this season. I’d say the worst thing is probably the blisters we’ve all been getting from Ali’s running sessions and the burns from playing on 4g. LC: There’s always time and energy for a laugh as a team! So far this season, it’s been Evie Clark – she just comes out with something that has everyone, even the staff, in bits! As a group, we all like to have a laugh to keep spirits high during training but we know when to knock it on the head and work hard as well. SK: Who’s been the chattiest? LC: Everyone’s been quite chatty as we’re a new group and we’re all still getting to know each other. SK: Who’s come back in the fanciest new footwear? LC: Probably too hard to chose from; there’s always some fancy boots on show and someone’s always got a new pair of kicks! SK: Who has come back with the best tan (and/or tanlines)? LC: This is a tough one as a few of the girls have been away, but Portia went away to Mexico and was blessed with a very nice tan. I’m actually jealous! SK: Who will put the most effort into preening and looking their best for the pre-season photo shoots? LC: I think probably Grace Taylor. She always makes effort to scrub up well and makes sure that her pre-wrap matches her goalkeeping kit! SK: Who is looking really sharp and in form on the field, in pre-season? LC: Lia Cataldo and Gabby Ravenscroft have both come in and I’ve been really impressed with how sharp and ready they’ve been so far in our pre season games and training. SK: Any personal targets you’ve set yourself for the upcoming season? LC: This season I’d just like to play as many games as I can. I had an up and down year last season and picked up some niggling injuries that kept me sidelined after a good start. As a more senior player, I’d like to become a leader this year as well, and set a good example for all of the younger players we have. I’ve dreamt of captaining the side since I was eight years old, when I first signed, so I’d like to try and fulfil that goal too. SK: Any facts, hidden talents or funny things you can tell us about one of your team mates that we might not know? LC: It’s still early days of us all getting to know each other so I think people have kept hidden talents to themselves for now but Michelle Young is an unbelievable dancer! She can really throw some shapes! SK: Who will be your team’s or your own biggest fan? LC: Dion Farnes will be our biggest fan this year; he has been our biggest fan since I was 18 and made my debut. I think in four seasons he’s only missed a handful of our games, but he’s been there through the highs and the lows that we’ve had the last few years and has always been there to support the team no matter what. He always drops the team and myself a good luck tweet, and often acts as our very own camera man, capturing most of the goals we score in games. SK: What is your home ground like and any tips for newbies turning up? LC: This year we’ve moved to Dartford FC. We actually played here a couple of years back against Everton and we played well that day. I think it will be a positive move for us, giving us a whole new fresh start. For any fans coming down, unless they’ve been to the ground before they’ll all be considered as newbies to start with, but I’m sure with time we’ll all settle in and it will feel like home for everyone. SK: What can we expect to see from your team and why should SK readers get behind your team in the upcoming season? LC: You can expect us to be an exciting team. We have a lot of new faces but they’re falling into the Millwall ways very nicely. Millwall teams are renowned for working hard and giving everything for the badge. People should get behind us because we are a young, exciting side filled with talent this year that should not be written off.